Kainos Community and Langley House Trust (Kainos’ parent charity) launches its joint Annual Review today (11th October 2016). The momentous ceremony will gather together professionals from Criminal Justice, Care, Mental Health and business to celebrate the success of the Trust in working with prisoners and offenders to help them successfully live crime-free. 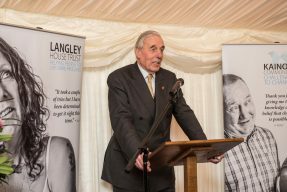 Taking place at the House of Lords, the Annual Review Launch will focus on constructive activity and its importance in helping ex-offenders to make sustainable, positive change to their lives. One of Langley’s clients will share his journey of life in prison which was compounded by addictions and mental health issues. 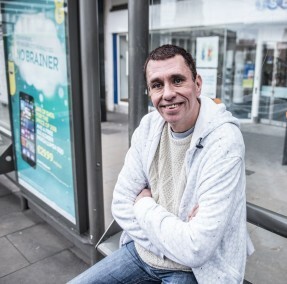 From being a persistent offender with an addiction to heroin, he is now drug-free and regularly advises mental health and Criminal Justice professionals on how to treat people in custody with mental health issues. 25% of women and 15% of men in prison report symptoms that indicate psychosis, compared to 4% of the general population (see Bromley Briefings Summer 2016). The Annual Review Launch will be hosted by Lord Ramsbotham who served as Her Majesty’s Chief Inspector of Prisons from 1995-2001. Ann Widdecombe, former Government Minister, will share her insights into rehabilitation, hope and purpose – during her ministerial career she was responsible for prisons and immigration. She will be joined by Anthony Howlett-Bolton OBE, former Chair of Langley and Kainos, who was awarded the OBE for his services to Criminal Justice whilst at the Trust which saw almost 4000 offenders helped to live crime-free. Langley and Kainos will also be celebrating individual client and staff achievement through a range of awards, including the Positive Future Award, Overcoming Adversity Award and Unsung Hero Award. Langley itself will receive an Investors in People Gold Award, the prestigious accolade which was awarded to the charity earlier this year due to its commitment to people management and staff engagement. Langley was shortlisted for a Charity of the Year Award from the Charity Times Award earlier this year for the third year running.